Suzy Mitt is the ridiculous all in one knit glove and beer holder. Pre-game and tailgate properly while saving 50% with promo code SUZY50. That’s just $10. 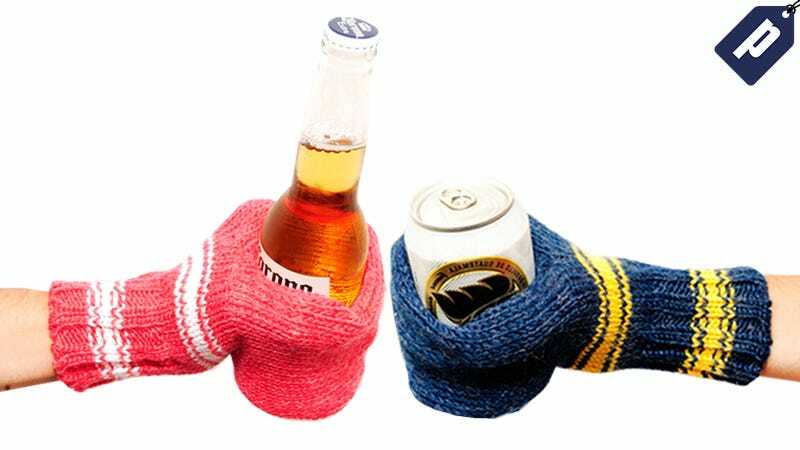 You can prep your tailgate with Suzy Mitt’s for the whole group, or simply make your presence felt before every game armed with a beer-holding hand warmer. It’s an automatic conversation starter that grabs attention. You’ll have a blast keeping your hands warm while keeping a cold one available at all times. The knit wool glove comes in six different colors and has a recessed thumb groove for additional grip, so you’ll never have to worry about freezing your hands while holding a beer again. It’s weird and ridiculous, it’s a Suzy Mitt. Snag one at 50% off for just $10 using promo code SUZY50 and then grab a cold one.